The process of Ceramic Pro will take 1 full day. The 1st step is to wash and prep the vehicle. The 2nd step is to correct all the imperfections in the paint such as swirls and scratches. 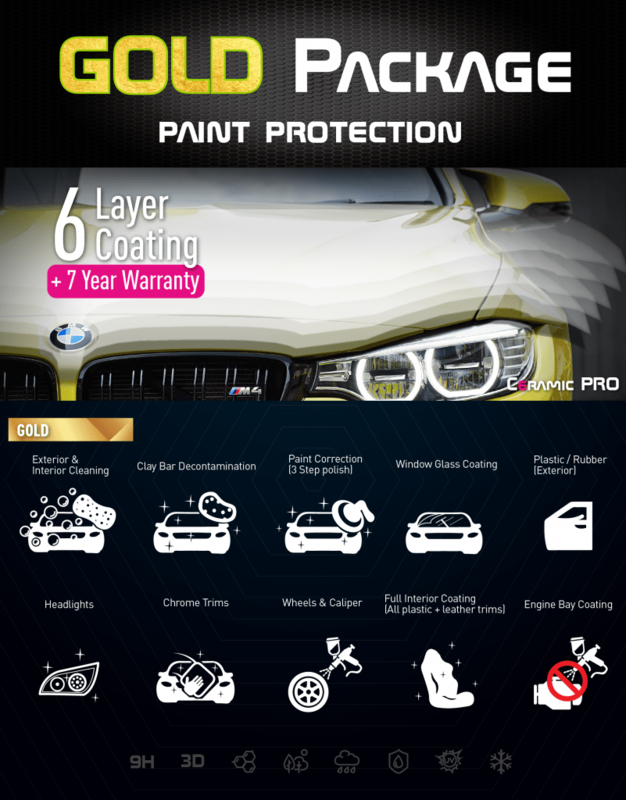 Once the vehicle is properly prepped, a body shop safe prep solvent will be applied to the entire vehicle to get to bare paint. 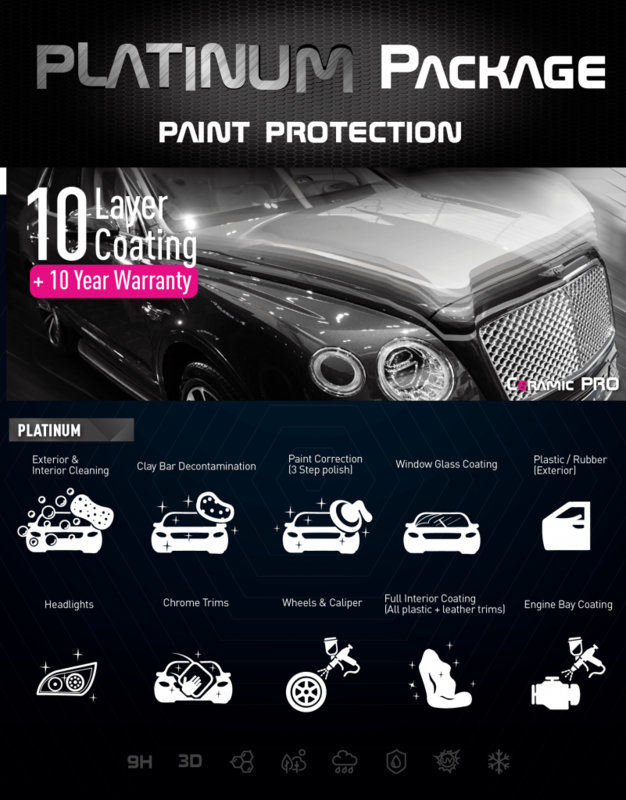 At this stage the coating process will begin, and each panel of the vehicle will have Ceramic Pro applied, leveled, and stacked to achieve the package you have selected. Can Ceramic Pro Protect my vinyl / wrap? No, Ceramic Pro will not prevent water spotting, but it WILL allow those pesky waterspots to be easily removed without damaging the surface. 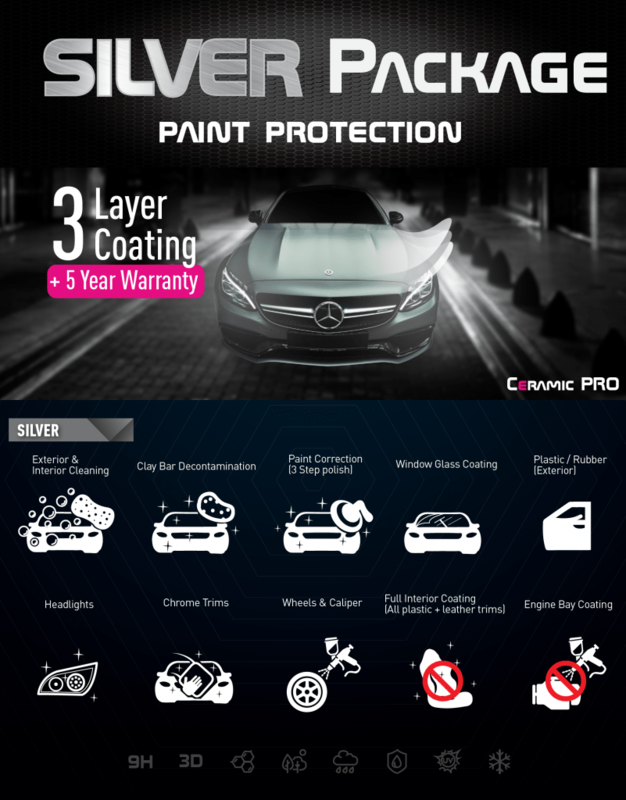 Because Ceramic Pro creates a protective layer over the substrate, it does not allow the minerals to corrode or etch the surface that Ceramic Pro is protecting, prolonging the life of your metals, paints, gelcoat, plastics, vinyls etc. Ceramic Pro warranty varies according to packages from minimum 5 years up to 10 years and is verified through Carfax. That’s longer than any wax or sealant on the market! You should wait for 3 days before the 1st wash to allow the solvents to outgas and the coating to fully cure. Keep in mind the coating is softer so work on the paint very gently.